There is no cure for neuropathy; medically, it is treated with an assortment of drugs, including anti-depressants; these often have severe physical and psychological side effects. However, certain lifestyle changes and vitamins like benfotiamine have been shown to be effective in reducing symptoms to the point where they are manageable. “Neuropathy” is a broadly defined classification for a number of conditions which affect the human nervous system. The most commonly diagnosed category of neuropathy within the United States is peripheral neuropathy, which is most often associated with diabetes. This debilitating condition involves a breakdown of part of the nervous system due to damage or disease. Due to the way the nervous system is arranged, it tends to affect certain parts of the body in a specific order, but this isn’t always the case: some individuals manifest neuropathic symptoms in seemingly random places. 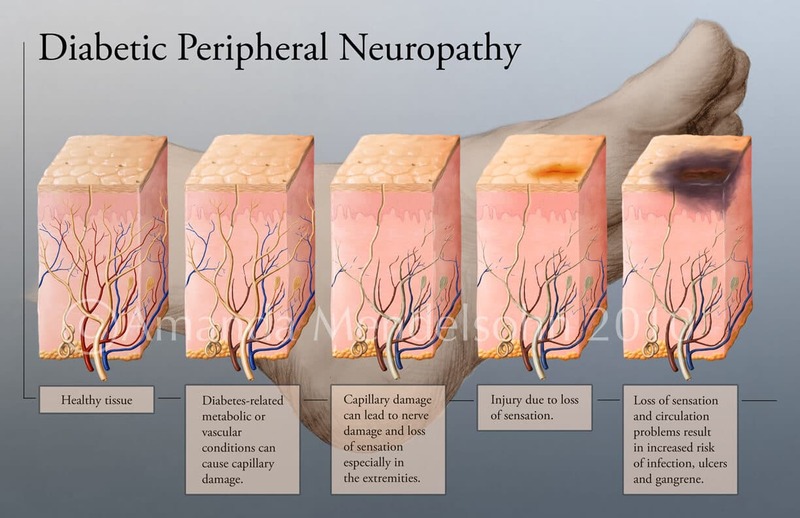 Peripheral neuropathy is a term that is often used interchangeably with diabetic neuropathy, which is actually the overall term for four different types of the condition (including peripheral, proximal, autonomic, and focal) which are normally associated with diabetes as an underlying condition. Peripheral involves damage to the peripheral nervous system, which helps to carry signals back and forth between the spinal cord and the body’s outer extremities (muscles, skin, and organs). It is the most common form of diabetic neuropathy in the US, with about 1 in 4 diabetes sufferers experiencing peripheral neuropathy in some form. As many as 20 million Americans have peripheral neuropathy. 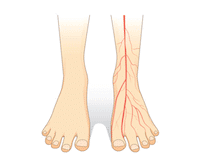 Proximal neuropathy is also known as diabetic amyotrophy. It is the second most common form of neuropathy in the US, primarily affecting elderly diabetes patients. It is less likely to cause nerve pain, instead contributing to a feeling of muscle weakness in the upper legs, posterior, and lower back. Unlike its peripheral relative, diabetic amyotrophy usually goes away with either time or treatment. Autonomic neuropathy can be a particularly frightening form of neuropathy, because it affects that part of the nervous system which transmits functions related to the body’s autonomic functions—everything from a person’s heart rate, to the optic nerves that carry signals to and from the eyes. 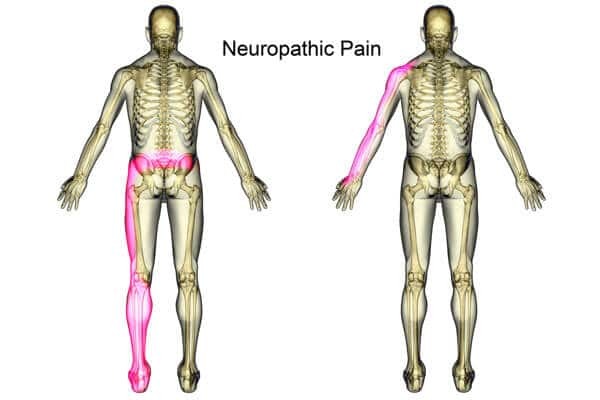 The symptoms of autonomic neuropathy vary widely, depending upon where damage is specifically located, but they can result in loss of vision, trouble with the digestive system, and heart issues. Focal neuropathy differs from the preceding forms of the condition because it only affects a single nerve. It most often occurs in the head; autonomic and focal neuropathy are two reasons why people with diabetes sometimes experience loss of vision. It can also occur in the legs, where it causes recurring nerve pain (usually a tingling, burning pain sensation) in a specific part of the legs. Neuropathy can result from a variety of underlying health concerns, but is most often associated with diabetes, as mentioned above. 1 in 4 diabetes sufferers in America has some measure of peripheral neuropathy alone, with that being the most common. Effective diabetes management is one of the ways in which neuropathy’s symptoms can sometimes be reduced. This includes working out on a regular basis, always staying hydrated, and closely monitoring alcoholic intake. Sensations such as tingling, pins and needles, or numbness, usually in the lower extremities; may also cause heightened skin sensitivity. Cramping, difficulty walking, and recurring bouts of muscle weakness throughout the affected area. Loss of range of motion, as per “foot drop,” the inability to move one’s toes and/or raise the front of the foot. Overall feeling of weakness; loss of balance and coordination. Symptoms do vary. It is unlikely that one person will experience all of the above, and it is not unknown for this form of neuropathy to present no symptoms at all. Magnesium is an important nutrient involved in the maintenance of the nervous system. 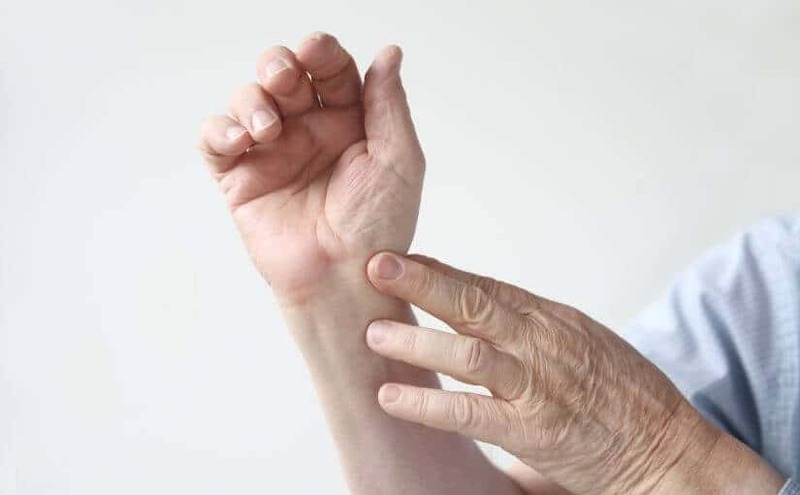 Like many other conditions relating to diabetes, neuropathy can result due to the leaching of this nutrient from locations where it is needed. Along with staying hydrated, nutritional supplementation is highly recommended for individuals who suffer from a diabetic condition. Supplementation with magnesium is highly recommended. It is one of the most common nutrient deficiencies in adults to begin with, with up to 80% of the population being deficient in magnesium. Magnesium supplementation can help with deficiency-related nerve pain, anxiety, and problems sleeping. Magnesium supplementation can be tricky, as high dosages of magnesium are known to cause diarrhea and other intestinal issues. However, not all forms of magnesium are readily absorbed by the body. One solution is to take magnesium in time-release form, which is less likely to result in digestive troubles. Two of the best sources with high bioavailability are Magnesium Glycinate and Magnesium Threonate. Magnesium Glycinate. While Magnesium Threonate is an excellent source of magnesium, it's benefits apply mostly to the brain, since it is easily able to cross the blood-brain barrier. On the other hand, Magnesium Glycinate is known to help promote relaxation and help with nerve pain. Some supplements geared specifically toward the treatment of diabetic neuropathy include essential nutrients in a form that the body assimilates more readily. Nerve Renew is one such supplement, which contains several ingredients and vitamins from all-natural sources. 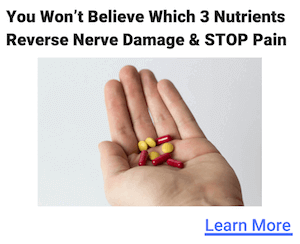 Neuropathy Treatment Group, the makers of Nerve Renew, offer a two-week free trial of their supplement, and a year-long money-back guarantee. At present, they are one of the highest-rated herbal supplement manufacturers with the Better Business Bureau, which rates based upon a company’s authenticity, authority, and customer service. Taking a quality source of Magnesium Glycinate alongside Nerve Renew can provide you the relief you've been looking for.